Bladder cancer. 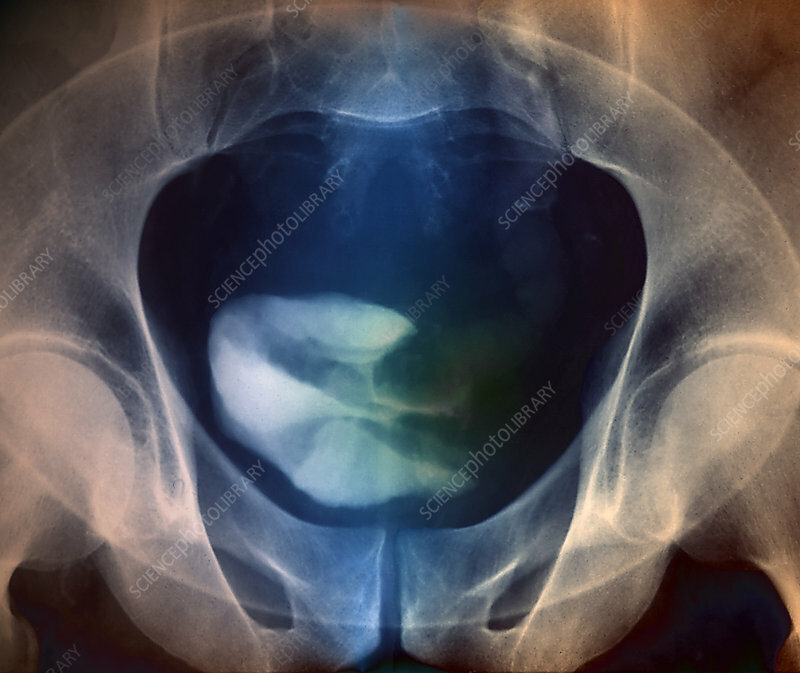 Coloured urogram (X-ray) of the pelvis of a 58 year old patient with a malignant (cancerous) tumour (white) in the left half of the bladder (lower centre). The main risk factors for bladder cancer are a family history of the disease, smoking and exposure to certain chemicals. Symptoms may include passing blood in the urine and a feeling of increased bladder pressure. Depending upon the site and the invasiveness of the cancer, it may be surgically removed or destroyed with heat. In some cases complete removal of the bladder (cystectomy) is needed.